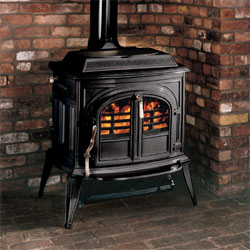 Solid fuel boilers are rapidly regaining some of their lost popularity. With the fluctuating costs of gas and electricity the relatively stable (and at the moment especially cheap) cost of solid fuel makes it an attractive alternative. First of all you will need to speak to an experienced heating engineer who can establish what size solid fuel boiler your home will require. The boiler itself, unlike a stove, is unlikely to provide much heat to the room in which it is sited. Boilers are far more efficient than stoves with all of the heat being transferred into the hot water.